Available Four New K-Sounds in KRONOS Sound Libraries! 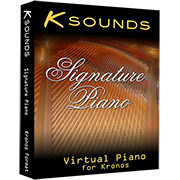 K-Sounds&apos; Signature Piano features beautiful samples of a 7&apos;6" Japanese grand piano. 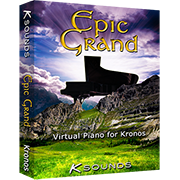 K-Sounds&apos; Epic Grand is a stunning sample of a Japanese grand piano loved by artists and studios around the world. New KRONOS Sound Libraries: two new libraries from KORG, two new libraries from KApro, and one new library and two new bundle packages from Kid Nepro. Evolve to the next generation with the best music production software & plugins - "KORG Gadget 2" is now available! Limited Time Sale. KORG announces new products at Winter NAMM 2019! With long-awaited Windows plugin compatibility, KORG Gadget 2 becomes the superior all in one music production software! KROME EX - An evolved go-to synthesizer with a focus on "FUTURE BASICS"
minilogue xd - An evolved next-generation analog synthesizer with huge potential for sound design and performance. volca modular - A semi-modular analog synthesizer that makes modular synthesis more accessible and understandable than ever before. volca drum - Welcome to an infinitely expanding world of sound-design. Joining volca kick and beats as the third, and most unique, drum synth in the volca lineup. KORG ELECTRIBE Wave version 2 tutorial video now available! KORG ELECTRIBE Wave has undergone a major update. The latest version 2 is now available providing sample import and compatibility with Ableton Live Project. Limited time sale now on! The popular C1 Air Digital Piano is now available in a brand new and stylish “White Ash” finish. “SEGA” & “TAITO” gadgets will be released in KORG Gadget for Nintendo Switch in Spring of 2019! 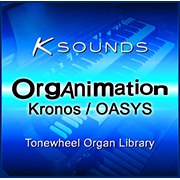 KRONOS Sound Libraries: New pricing for KApro libraries. A new deluxe concert piano from the SYNTHOGY Ivory II series. KORG Module version 2.7 - now available! Flash sale until Oct. 30. Ableton released new "Live 10 Lite". Now available for iPhone! KORG ELECTRIBE Wave has been updated to the latest version 1.1 for both iPad and iPhone. Sale extended by popular demand. ​KORG Gadget for Nintendo Switch Supports Single Joy-Con™ Play in new version 1.2 update! A reliable tuner that you attach to the sound hole of your instrument. The Rimpitch-C2, a tuner designed specifically for acoustic guitar. Now even easier to see and hear. The MA-2 is the new must-have metronome for orchestral instruments. A classic design with the functionality that you expect from a digital unit. Make every day practicing more enjoyable with the KDM-3. The next evolution in music software. Produce state-of-the-art dance music: KORG ELECTRIBE Wave is now available! Sale now on - for a Limited Time only! KORG Gadget for Mac has been updated and features a new plugin: Stockholm by Reason. Sale extended by popular demand! New Bonus styles for the Pa4X, Pa1000, and Pa700 are now available! KORG Gadget for iOS / Mac collaboration with Propellerhead Reason. The new version of KORG Gadget adds a new gadget and is available now! Limited Time Sale. Enhanced visibility and accuracy - Pitchclip 2 is now available! Enables the utmost tuning accuracy - CM-300 is now available! The newest version KORG Gadget for Nintendo Switch has been released. New KRONOS Sound Libraries: one new library from Sounds of Planet, one new library from KApro. New KRONOS Sound Libraries: one new library and four new bundle packages from Kelfar, two updated libraries from Purgatory Creek, and new pricing for Irish Acts libraries. Play Games. Make Music. A Music Creation Studio That Feels Like a Game. Finally, KORG Gadget for Nintendo Switch goes on sale! A Music Creation Studio that Feels Like a Game! The KORG Gadget for Nintendo Switch will go on sale on April 26th. The popular board game Monopoly as a synthesizer!? The updated KORG iMono/Poly brings you the collaboration you weren't expecting. iAudioGate for iPhone special sale extended. iAudioGate for iPhone version 4.0.0 is now available! iAudioGate for iPhone: version 4.0, available February 20. - supports “PrimeSeat” high-resolution streaming playback. The long-awaited AAX support update for the KORG Collection for Mac/Win has been released! Latest update release adds three sound libraries from SCARBEE and KApro to the KORG Module! New KRONOS Sound Libraries: one new and one updated libraries from KApro, and a new bundle package from Kid Nepro. KORG announces new products at Winter NAMM 2018! A Synthesizer Collection Completely Reconstructed in Software: KORG Collection is now available! New KRONOS Sound Libraries: Nine new libraries and one bundle package from KApro, Kid Nepro, Soundiron and Q Up Arts. TM-60 - A new, larger screen shows the tuner and metronome functions　simultaneously. The TM-60 — a must-have item for practicing. minilogue PG - This new minilogue has a unique polished gray color that reflects beautifully in various lighting, ranging from silver, to dark gray, to black. TM-60C - A set consisting of the TM-60 combo tuner/metronome that's packaged with the convenient CM-200 contact mic - the perfect partner for your daily instrumental practice. Major update for KORG Gadget for Mac / iOS. The new version includes three new gadgets and the long awaited NKS support! 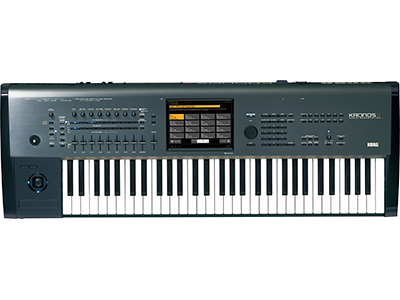 New from KORG, the KROSS 2 Synthesizer, the new Pa Arranger series and the C1 Air, the newest addition to the KORG Digital Piano line. Reviving a classic KORG analog synthesizer: KORG iMono/Poly is now available! And KORG Gadget also works with iMono/Poly - Montpellier. KORG Gadget for Mac / for iOS has been updated with new preset sounds that are ready to go NOW! Control TRAKTOR with nanoKONTROL Studio! Mapping data with optimal settings for TRAKTOR are now available. New Bonus styles for the Pa4X OS 2.0 are now available! Added online piano lessons "Skoove" to KORG Software Bundle. New KRONOS Sound Libraries: four new libraries from Q Up Arts, one new library from KApro. KORG x Allihoopa “KORG Gadget Special Contest” now open! KORG Gadget for Mac version 1.1.0 has been released! A free lite version, KORG Gadget Le for Mac is also now available. G1 Air - With unparalleled sound and a beautifully expressive playing experience, the G1 sets a new standard for the digital piano. SV-1 MR - Metallic Red body of 2017 vintage. KRONOS LS - Strike The Perfect Balance. "KORG Gadget for Mac", the all-in-one music production studio software, is now available! New KRONOS Sound Libraries: new "Premium Class series" libraries from KApro, one updated library from Kelfar, and the special sale from Sounds of Planet. New KRONOS Sound Libraries: two new libraries from Soundiron, and one new and one updated library from KApro. Imagination becomes reality - "KORG Gadget for Mac", the all-in-one music production studio software, available February 28. The tuner app "KORG cortosia" version 1.6.0 is now available. iAudioGate for iPhone version 3.2.0 is now available! KORG announces new products at Winter NAMM 2017! From iOS to Mac. KORG Gadget, the all-in-one music production software, appears for Mac soon. New KRONOS Sound Libraries: Five new libraries, one update, one bundle and seventeen new pricing libraries from Sounds of Planet, KApro, and Soundiron. Creating sounds with time-varying timbre, on your mobile device. KORG iWAVESTATION is now available! KORG Gadget also works with the iWAVESTATION. Play KORG’s revolutionary touch-based instrument on a variety of devices. KORG Kaossilator for Android is now available! New KRONOS Sound Libraries: Six new libraries and two bundle packages from Soundiron, KApro, Purgatory Creek Soundware and Kid Nepro. The legendary ARP sound, exquisitely reproduced in software. ARP ODYSSEi is now available! KORG Gadget also works with the ODYSSEi. New KRONOS Sound Libraries: two new libraries from Soundiron, one new library from KApro. microKORG S - Shape your sound, bring it anywhere. The microKORG S continues to build on the success of the original. New KRONOS Sound Libraries from Kid Nepro: EXs180 Electric Guitars Volume 2 and new bundle packages. The electribe continues to evolve. A new metallic blue model, system updater, and bonus patterns are now available. The electribe sampler goes to next phase. A new metallic red model, system updater, and bonus patterns are now available. 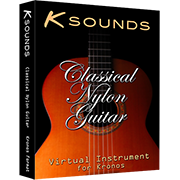 New KRONOS Sound Libraries: There are six new libraries from Purgatory Creek Soundware including four collaborations with Acousticsamples, one from Kelfar Technologies, and one from KApro. An unprecedented collaboration between KORG Gadget and BANDAI NAMCO Studios! Version 2.5 featuring three new gadgets is out now. KORG Module major update making it a universal app compatible with iPads and iPhones. cortosia version 1.5.1 is now available. KORG cortosia tuning app is now available with support for euphonium. 50% discount on the regular price for two weeks only. New KRONOS Sound Libraries: There are four new libraries (including one free title!) from KApro, one new library from Sounds of Planet, one new library from Kelfar Technologies who are also releasing an updated library and two bundle packages. KORG Gadget now offers complete support for the nanoKEY/KONTROL Studio! Gadget Le is now available. iDS-10 and iAudioGate are updated. Pitchblack mini - Small size, huge visibility! A compact pedal tuner that's ideal for any effect board. KORG Gadget version 2 out now with iPhone/iPad Pro support and major updates for iDS-10, Module, iAudioGate. KORG cortosia tuning app is now available with support for Trombone. 50% discount on the regular price starts from February 5 for one week. KORG announces new products at Winter NAMM 2016! Now Available! New KRONOS System Version 3.0.4 and fifteen new Sound Libraries: nine from Purgatory Creek Soundware including two collaborations with Acousticsamples, three from Bolder Sounds, and three from KApro. Updates - KORG iOS music apps with Ableton Link integration. New KRONOS Sound Libraries: two new libraries from KApro, one new library from Irish Acts and new pricing for KApro and KARO libraries. KORG iDS-10 for iPhone - The DS-10 reborn. Introducing two new videos of volca sample OK GO edition! Introducing new microKEY series! Whether you’re producing in the studio, or creating on the go, the microKEY will give you exactly what you need – and nothing you don’t. Break free with the new microKEY Air series of wireless MIDI controllers! Introducing third party apps for volca sample! The best selling high-quality mobile sound module app "KORG Module" for iPhone＆iPad has been updated. Enjoy a lifetime of listening to astounding audio fidelity―record it in DSD. Introducing new DS-DAC-10R 1BIT USB-DAC/ADC. AudioGate 4, High Definition Audio Player Software, now includes the ability to create high-resolution audio recordings. Mac OS X El Capitan support for KORG DS-DAC Series. KORG iELECTRIBE for iPhone - The ELECTRIBE reborn. A full-fledged rhythm machine for iPhone. GA Custom - New card-type compact tuners! Join the 60's music revolution that still rocks our music today! KORG’s new flagship Professional Arranger, Pa4X! KRONOS Sound Libraries: New Title/Updates, and New Pricing! Available three new Updates for KRONOS! Check out special contents of LP-380 "Premium Japan Quality"! PitchCrow-G, new clip-on tuner for guitar or bass, joined KORG tuner lineup! New KORG cortosia tuning app is now available with support for Saxophone! 50% discount on the regular price starts from June 25 for one month! iAudioGate for iPhone is now available! New release sale until July 31! Check out artist impression video for KORG iM1 for iPad! KORG iM1 for iPad ver 1.0.2 is now avalable! KORG Gadget for iPad ver 1.2.2 is now avalable! The new KORG M1 for iPad is now available! Special sale on KORG Apps! New KORG cortosia tuning app is now available with support for both Violin and Cello! 50% discount on the normal price starts from April 10 for one week! HAVIAN 30 is launched! The complete musical ensemble for your home. Announcing software update version 1.1 for KORG Module for iPad! Sereto DJ Intro for Kaoss DJ is available for free download! Experience 5.6MHz DSD live streaming with the KORG DS-DAC series. New and updated KRONOS Sound Libraries from KApro, Irish Acts, and Kelfar. Forty years in the making, a New Evolution. Be ready for the ARP ODYSSEY of today. KORG DSN-12 and KORG M01D are now 50 % off. AudioGate v3.0.3 and DS‐DAC driver software v1.0.6 for the Mac OS. Dear all KingKORG users! Get free Bonus Programs! Available sound demos for TRITON taktile! Announcement for all KRONOS users! The new KORG Module and the updated KORG Gadget are now both available! Special sale starts from Black Friday for two weeks! DEVELOPERS ALERT! volca sample SDK release! AudioPocket for volca sample: Update now Available! Announcing a new high-quality mobile sound module app for iPad! KORG Module for iPad! 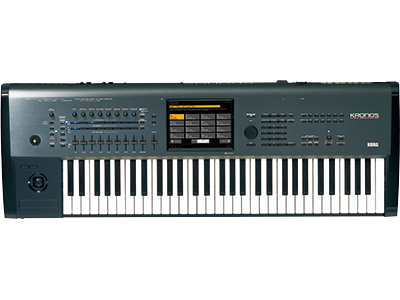 The compact and stylish LP-380 digital piano is now available in a 73 key model! AudioPocket will be available on iApp store soon. Added new volca sample video! New Introduction Video for KORG Gadget! All KORG apps now support iOS 8.
iKaossilator Version 3.0 is now available for download! Announcing “Santa Clara” for KORG Gadget for iPad and more news for KORG Apps. Announcing the new system 2.0 for taktile series. The classic sound of the SDD-3000 digital delay is now available! KORG music apps: BIGGEST SUMMER SALE up to 50% off! Announcing the “KORG DSN-12” analogue synthesizer software for Nintendo 3DS Downloads. Additional Sound & Style data for KORG Pa-series (Professional Arranger) - now available! RK-100S Sound Editor v1.0.0 is available now. New updates are now available for the Pa Series! Announcing the “Digital Synsations” software synthesizer package, available now at the KORG LICENSE CENTER! Announcing KORG Gadget Remix Contest #1 winners! KORG Gadget for iPad : Special introductory sale extended until March 31! Only 3 days left! Time is running out for All Korg iOS apps 25-50% OFF! KROSS Editor / Plug-In Editor for Windows and Mac are now available. Compatibility charts for Windows and Mac are updated. New MS-20 Kit Video featuring the original MS-20 engineers. The AudioGate 3 Player is now available for free download. Home News Available Four New K-Sounds in KRONOS Sound Libraries!